Adrenaline junkies: listen up! This week saw a 33-year-old fitness coach from Dubai break a Guinness World record for most bungee jumps in 24 hours, by taking the plunge an incredible 151 times! With this in mind, we thought it only polite to create a blog for adventurers alike, in tribute to his dizzying success! So we put together some of the world’s best bungee jumps – ranging from the highest, to the most picturesque, to the damn right petrifying! So, the question is – have you got the bottle? Roll up, roll up – it’s the world’s highest bungee jump! 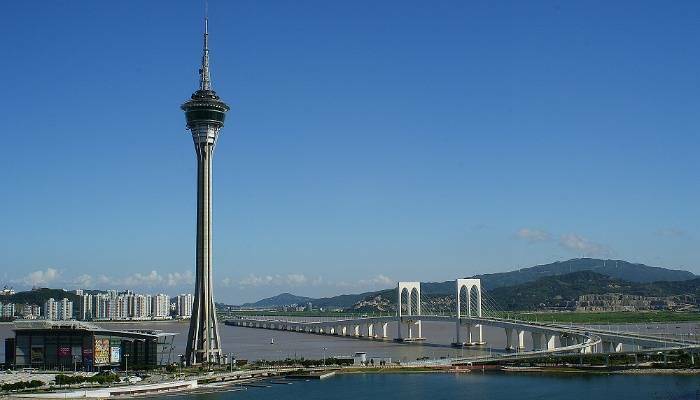 Yes, at 233 metres Macau Tower dominates this urban island and invites brave participants to fall through the Macanese sky at up to 46 miles an hour! The glass elevator itself is famous for making many a man weep as it rapidly climbs to the observation deck on the 61st floor. Once there, you’re strapped in and shuffled to the end of metal plank – while the crowd loudly counts down from 5…4…3… no peer pressure then! 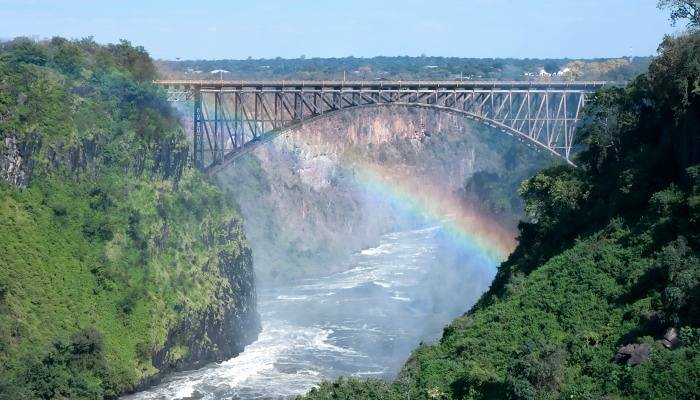 Located at the mesmerising Victoria Falls, it’s safe to say that the rainbows and soothing sounds of running water are a stark contrast to the 111 metres of adrenalin-fuelled action offered up by this bungee. Take your pick from a standard jump (pretty impressive in itself) or indulge your adventurous side with an ankle-tied back-flip as you plummet towards the Zambezi River. 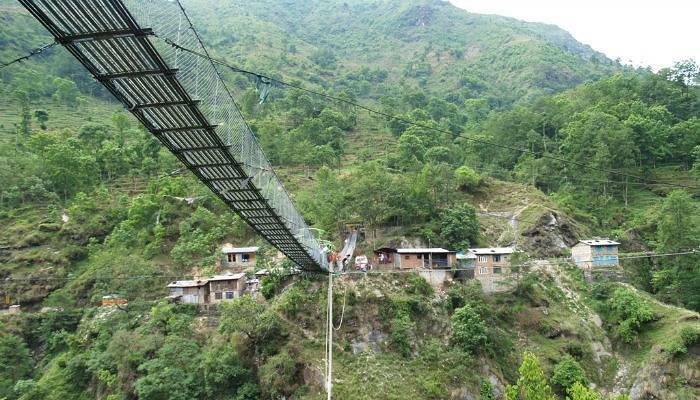 Located on a mind-bogglingly beautiful river gorge close to the Tibetan border, this stunner of a bungee invites you to take a 160 metre plunge off a bridge towards Bhote Kosi, one of Nepal‘s wildest rivers. 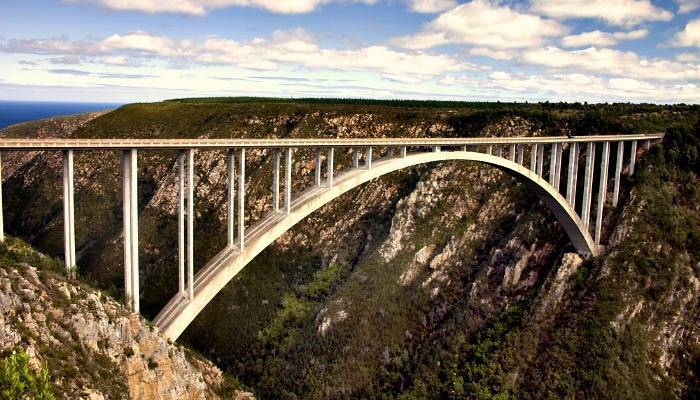 At an impressive 216 metres high, the Bloukrans River Bridge bungee can be found between the Eastern Cape and the Western Cape on South Africa’s stunning Garden Route. Famous for Mohr Keet, who set a Guinness World Record as the oldest person to bungee in 2010 aged 96 year old, it offers incredible views of mountains, coastline and the raging green river below. Did we mention it’s terrifying?! At approximately 143 metres tall, the Extremo Park bungee is no mean feat. 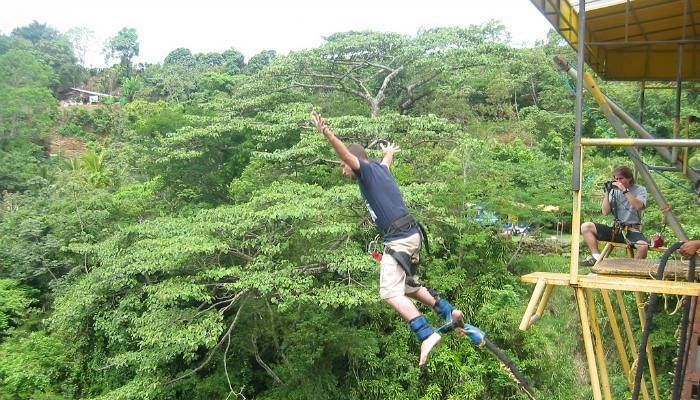 Nestled in a lush cloud forest with views across the Gulf of Nicoya, this is a jump that will leave you feeling like Tarzan flying through the jungle. 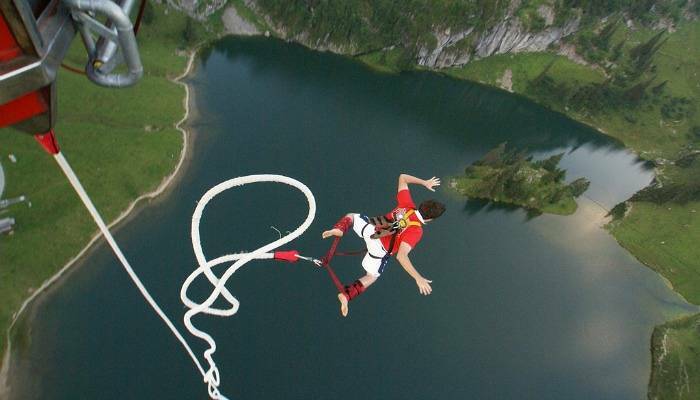 Famous for its appearance in the James Bond ‘Goldeneye’ film, this 220 metre bungee is hugely popular with travellers on a trip to Switzerland. As well as lovely lake views, the bungee provides adrenaline seekers with a range of options to quench their needs for thrills. For example, there’s the 007 Classic Jump, 007 Backwards, 007 Night Jump, and the 007 Bungee Jumping Centovalli – a tandem jump for those who fancy ‘roping’ a friend into the experience.